The United States envisions a new relationship — including direct talks — with Cuba, President Barack Obama said at the Summit of the Americas opening ceremony in Trinidad and Tobago. The United States envisions a new relationship — including direct talks — with Cuba, President Barack Obama said Friday at the Summit of the Americas opening ceremony in Trinidad and Tobago. "The United States seeks a new beginning with Cuba," he said, according to his remarks released in advance by the White House. "I know there is a longer journey that must be travelled in overcoming decades of mistrust, but there are critical steps we can take toward a new day." His remarks kicked off the weekend gathering of nations in Port-of-Spain — at which Cuba was the only country in the region not represented. Prime Minister Stephen Harper was among the 34 leaders at the meeting. 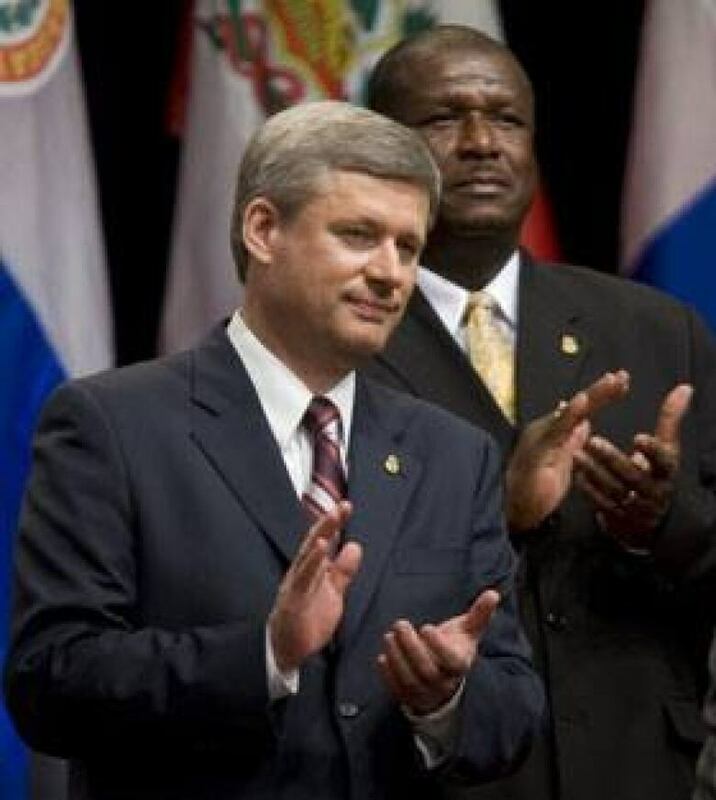 He was "hoping to see a thaw" in U.S.-Cuba relations, Harper told the U.S. Fox News network Friday from Port-of-Spain. 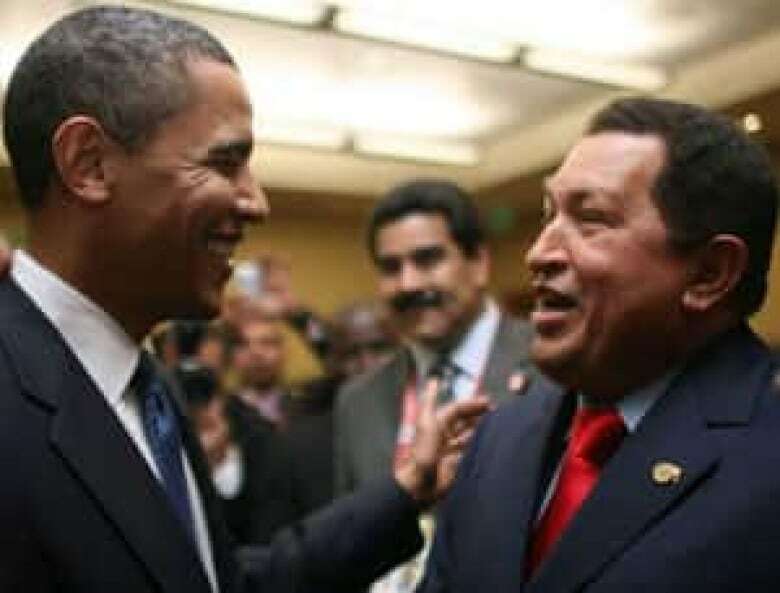 However, he said, he and his officials have stressed that they don't want the Cuba debate to hijack the summit. Rather, they are keen to talk about trade, public security and other issues on the summit agenda. "There are certainly more important issues to discuss than Cuban-American relations," Harper said. Obama's comments came a day after the head of the Organization of American States said he'll ask his group to invite Cuba back after 47 years. "I want to be clear: I want Cuba back in the inter-American system," secretary general Jose Miguel Insulza told the Miami Herald on Thursday. Cuba was suspended from the hemispheric organization in a 1962 resolution for its alliance with the Soviet Union. The resolution called Cuba's communist system incompatible with the 35-nation organization's principles and coincided with the imposition of a U.S. trade embargo. That year, the OAS proved a critical forum for the U.S. government of then President John F. Kennedy in gaining support for a quarantine of the island nation at the height of the Cuban Missile Crisis. On Friday, U.S. Secretary of State Hillary Clinton said Washington welcomed "overtures" from Castro, hours after he said his country was open for talks with the United States about "everything." Earlier this week, Obama ordered the easing of U.S. restrictions on Cuba, including allowing unlimited travel and money transfers by Cuban-Americans to family in their home country, the White House said Monday. Cuban leader Raul Castro also said separately this week he was open to thawing relations with the U.S. However, analysts cautioned that the week's developments were encouraging but do not necessarily mean normalized relations are around the corner.